TORONTO - Hurricane Irma has left nearly 7 million homes in the southern United States without power and two Ontario hydro utility companies are sending teams to help out. Toronto Hydro is sending 30 staffers to aid in the restoration efforts in Tampa Bay while Hydro One said Sunday night that it would send 175 employees after receiving a request from Florida Power and Light. “I've been on other storms down in the states and they are pretty happy to see you especially when they find out you're from Canada,” Dean Edwards, one of the Hydro One employees heading to Florida, told CTV Toronto. Most of the employees are expected to cross the border on Monday afternoon and arrive Wednesday. Among the crews, Hydro One says it will send 150 lines and forestry staff, as well as 25 supporting resources, including mechanics, to help. 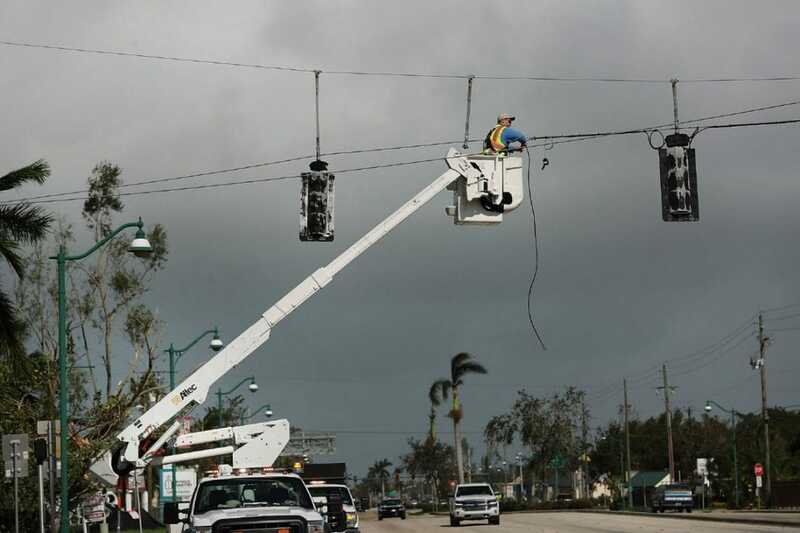 Crews will bring 52 bucket trucks to Florida, as well as 30 other vehicles and pieces of equipment to transport and replace poles. Hurricane Irma has claimed at least 45 lives in the Caribbean and United States thus far. Officials estimate that it could take weeks to bring power back online. “I’m sure a lot of people wish they could go down and help, fortunately our job is geared towards that so we're going to go down there to do our best and represent Canada,” said Blair Clarke, who’s making his first trip over the border. Hydro One has reciprocal arrangements with other North American utilities to help with significant power outages. All the costs are covered by the utility receiving the help. In the past, the utility has sent crews to Massachusetts, Michigan, Florida, Ohio, Vermont, Washington, DC, and the Carolinas. In 2012, 225 Hydro One employees travelled to Long Island, N.Y., to help out with Hurricane Sandy. Peterborough Distribution sold to Hydro One for $105 million.